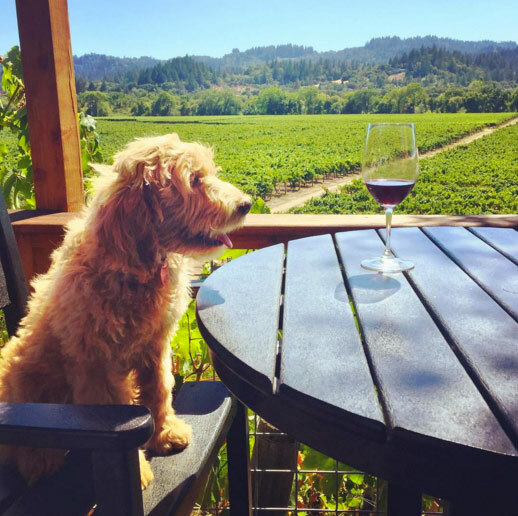 If your dog is like most dogs, he doesn’t give a woof about the raspberry and leather notes that distinguish a 2009 pinot from its 2011 counterpart. What matters to Max is a comfortable place to curl at your feet while you imbibe. There’s no shortage of wineries that fit the bill in Mendocino County’s Anderson Valley, an area bisected by Highway 128 and encompassing the Boonville, Philo, Yorkville Highlands and Navarro wine regions. Laid-back is the keyword at Navarro Vineyards, just off Highway 128 near Philo. Here water bowl and treats await, and an enclosed exercise area is available for pups not quite ready to settle down. Nearby Toulouse offers just as enthusiastic a welcome, along with a warehouse-like tasting room and shaded picnic tables with sweeping views of valley vineyards. Husch Vineyards, also in Philo and the oldest winery in the Anderson Valley, dating to 1968, makes 22 varieties of vino and welcomes furry visitors in the converted 19th-century pony barn that serves as a tasting room. 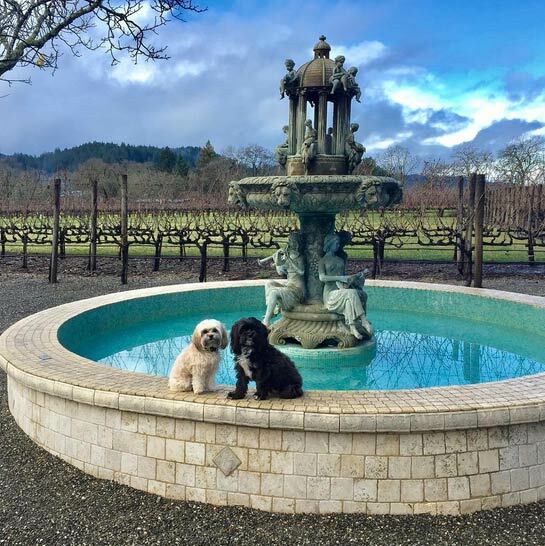 Round out your visit to the Anderson Valley with an overnight stay at a dog-friendly property such as Anderson Valley Inn in Philo or The Other Place outside Boonville, the later of which features individual cottages and is fenced for canine safety. When hunger strikes, lead Fido to the outdoor seating area at Mosswood Market Cafe in Boonville, where he can lap from a water bowl as you enjoy tasty homemade soup and a fully loaded panini sandwich. A few doors down is Boonville General Store, serving delights such as wild mushroom calzones, stone-baked pizzas and garden-to-table soups and salads. For fine dining in warm weather, Table 128 at the dog-friendly Boonville Hotel invites canines to curl up at designated outdoor tables where they can watch their people chow down on family-style, prix fixe dinners featuring fresh, farm-to-table cuisine.